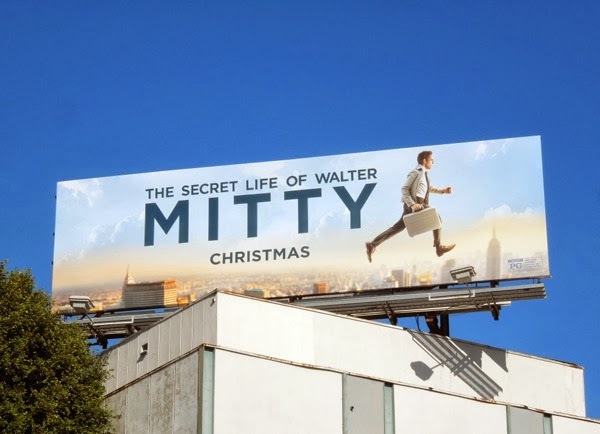 Ben Stiller returns this festive season to direct and star in The Secret Life of Walter Mitty. 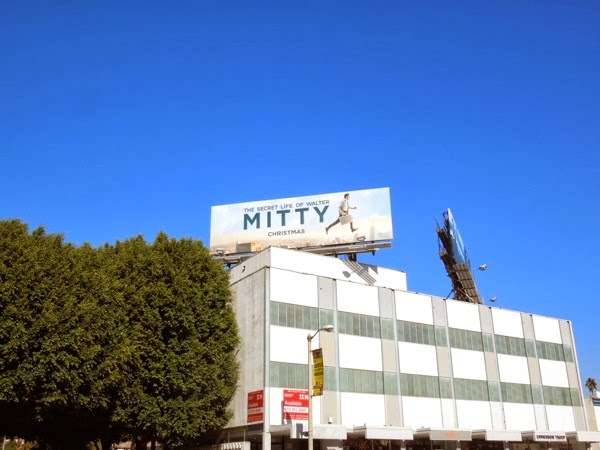 This fun and whimsical ad creative is the perfect imagery to sum up his movie about a day dreamer who disappears into a world of fantasies to escape his ordinary life, and then actually embarks on an extraordinary global adventure in the real world. Hollywoodland certainly loves these long-winded movie titles, even when they don't exactly roll off your tongue. They're not always that successful though, you just have to think of films like The Curious Case of Benjamin Button or The Odd Life of Timothy Green, so it's no wonder they're emphasizing the 'Mitty' in this creative. 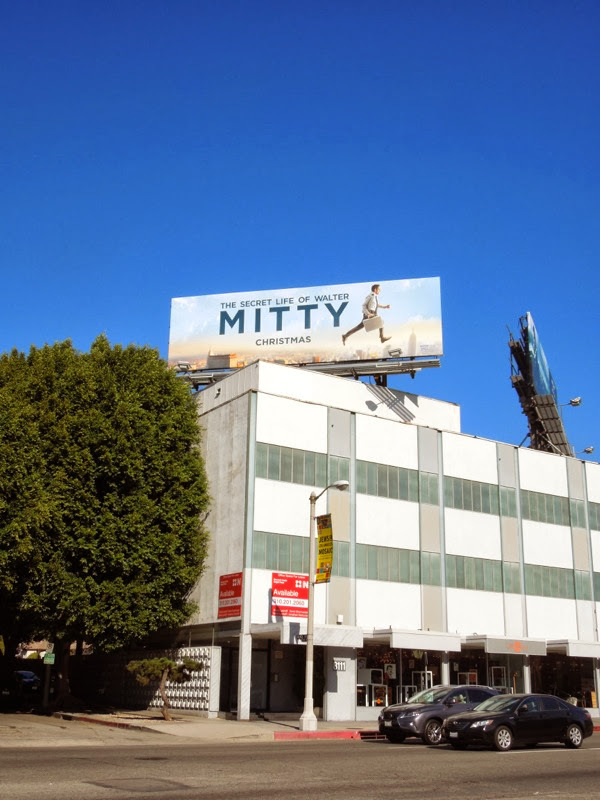 This eye-catching movie billboard was spotted high above Beverly Boulevard on a beautifully clear November 25, 2013. 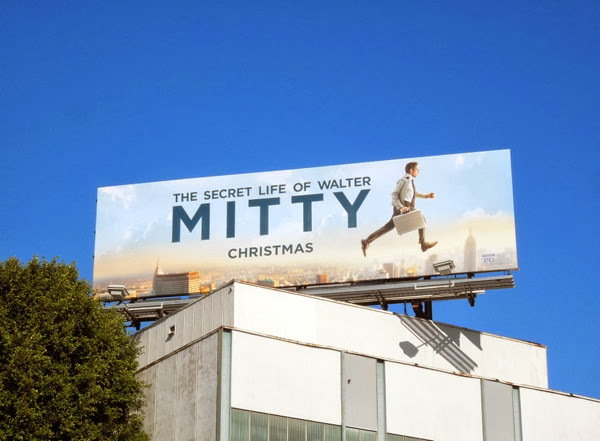 Will Mitty capture your imagination this Christmas at the box office, or will 47 Ronin, Grudge Match, The Wolf of Wall Street or Anchorman: The Legend Continues be your perfect holiday viewing. UPDATED: Here's a London Underground poster for Ben Stiller's new movie snapped on December 17, 2013. 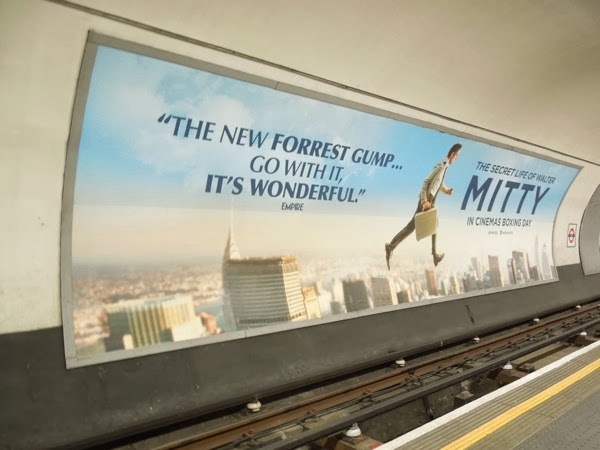 Daily Billboard thinks it's clever they've used the Forrest Gump quote to help British cinema goers easily understand what type of film this is. That does sound like great (and fun) media buying!